With Perth’s drying climate, successive governments in Western Australia have scrambled to find new water sources. Meanwhile water demand remains stubbornly high – a legacy of the city’s colonial past. As Cape Town scrambles to avoid “Day Zero”, some commentators have pointed to the Australian city of Perth as an example of how this crisis might have been avoided. Just over a decade ago, experts predicted a similar fate for the Western Australian capital as a run of dry winters, combined with a drying climate and growing population, stretched the city’s water resources to their limit. Only a combination of supply augmentation and demand management saved Perth from running out. But these strategies were not conjured over night, nor was their implementation smooth sailing. Rather, they were the culmination of decades of planning and experience in an unforgiving environment. Home to over two million people, Perth sprawls across an area of nearly 6500 square kilometres. Since the turn of the twentieth century, a reticulated supply has transferred water from the Darling Range to households and businesses along the Swan Coastal Plain, as well as to the eastern goldfields. Inadequate infrastructure, dry summers and a growing population meant that this network was often under strain, with periodic water famines not uncommon in less affluent suburbs. Early measures to increase water supplies soon proved inadequate, as Perth’s citizens simply pursued a more profligate pattern of water use. In the early 1920s, irate voters finally convinced the state government to invest in a more reliable water supply system, including the Hills Water Supply Scheme, which took nearly twenty years to complete. Early measures to increase water supplies soon proved inadequate, as Perth’s citizens simply pursued a more profligate pattern of water use. These high levels of water consumption point to piped water being more than a conduit for basic sanitation, with personal and household cleanliness associated with white civilisation, morality, and feminine domesticity. Green lawns and English-style gardens upheld the perceived values of a cultivated and ordered streetscape, while also cooling the home and keeping dust at bay. The increasing accessibility to water supplies helped householders, usually wives and mothers, to overcome the difficulties that Perth’s sandy soils and long dry summers posed to meeting these standards. More water begat more water demand, which successive WA governments were willing to meet after the Second World War. Additional dams on the streams of the Darling Range provided water not only to Perth, but also to some towns of the Wheatbelt and eastern goldfields. 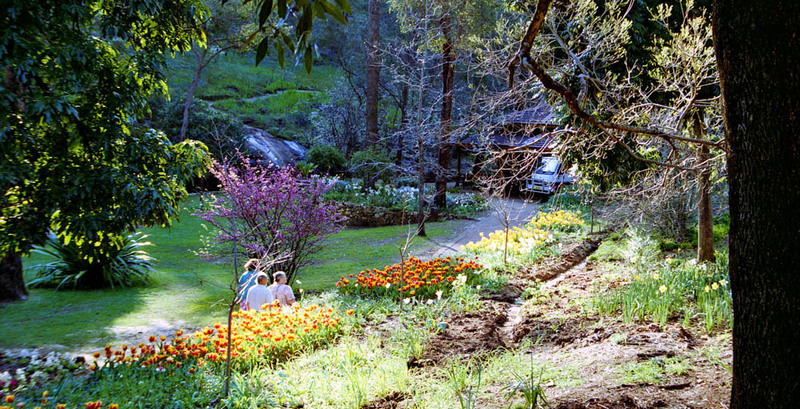 These supplies allowed rural households to emulate metropolitan habits and garden styles, which aligned with the state’s vision of settling more families beyond the Swan Coastal Plain. In addition to these agrarian endeavours, more dams – those temples of modernity – also contributed to post-war aspirations for industrial development in the suburb of Kwinana, south of Perth. By the late 1960s, hydrogeologists had begun to appreciate the extent of the groundwater reserves beneath the suburbs. And not a moment too soon: thanks to the end of the embargo on iron ore, Perth’s economy was booming, attracting a wave of newcomers to the city. The rapidly growing city, however, was entering an especially dry decade. The state’s water utility began to add groundwater to the city’s supplies, sourced from the Gnangara Mound in Perth’s north. Compared to other potential sources, such as piping water from the state’s northwest, groundwater was easily accessible, and therefore, affordable. By the end of the 1970s, nearly half of the city’s water supplies were drawn from groundwater reserves. Today, the Australian Bureau of Statistics estimates that about a quarter of Perth households have their own bore. At this time, the government imposed voluntary water restrictions, but as conditions worsened a tougher regime was introduced. Much to the ire of local gardening enthusiasts, residents could only water their gardens by hand at specific times. Accompanying these restrictions was a government campaign to encourage households to sink their own backyard bores, which could supply unregulated water for gardening purposes. To reduce the demand on reticulated supplies, subsequent governments continued to promote these unmetered and unmonitored water supplies until 2010, when their use became subject to water restrictions. Today, the Australian Bureau of Statistics estimates that about a quarter of Perth households have their own bore. 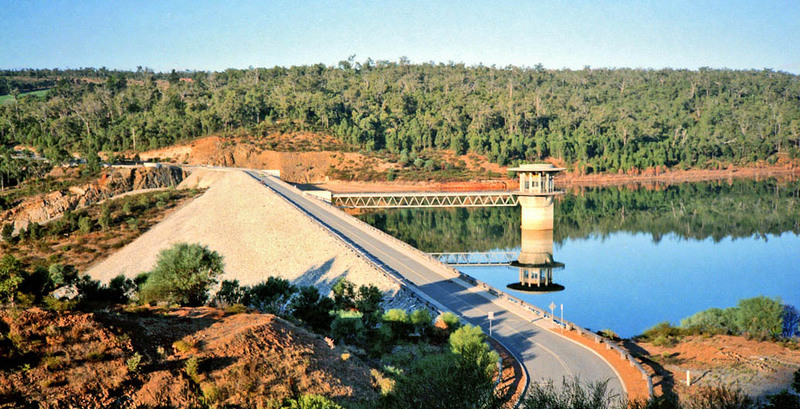 Although water restrictions and groundwater combined to ease the pressure on Perth’s water supplies, the state government concluded it was no longer feasible to keep pace with unfettered demand. To further curb consumption, the government introduced a user-pays system in 1978 that contributed to a significant reduction in household water use. 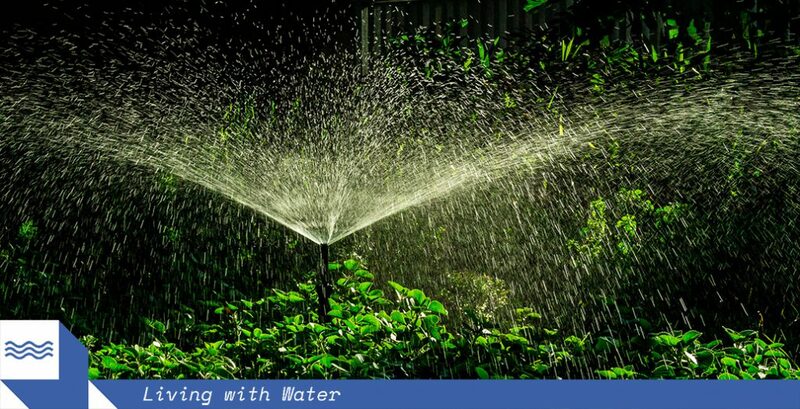 In many suburbs, this reduction was focused outside the home, as residents adjusted their watering habits and garden tastes. Thanks to the increasing commercial availability of Australian plants, the government and local nurseries promoted bush or native gardens as a means to reduce household water use. Education campaigns during the 1980s continued this effort to temper domestic profligacy, which went some way to limit public backlash to the introduction of modest water restrictions in the early 1990s. On the eve of the twenty-first century, the Millennium Drought had begun to bite in the nation’s east. 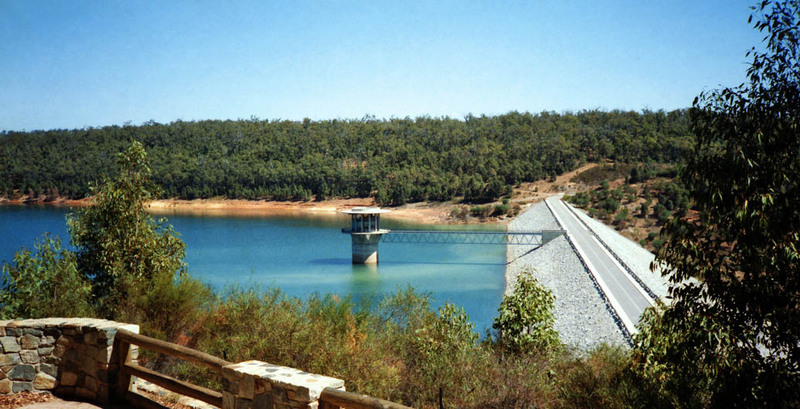 In Perth, the dry winter of 2001 delivered the lowest stream flows to the city’s dams since the drought of 1914. These conditions confirmed fears among local water managers that the region’s climate was undergoing a drying trend. The average streamflow into Perth’s dams had almost halved since the 1970s, and has declined further since. In response, the government increased its draw on groundwater reserves and tightened water restrictions, but not to the severe extent as elsewhere in the country. This reluctance to curtail water consumption was a legacy of the unpopular restrictions of the late 1970s. To mitigate such circumstances in the future, the government announced in 2002 its intentions to develop a seawater desalination plant to supply water for Perth. Opposition from environmentalists, rural politicians, and the press led the government to explore alternative options, such as tapping the South West Yarragadee aquifer in the South West Capes region and piping water from the Kimberley. Neither plan held water, however. After achieving a second term in 2005, the Labor government proceeded with its plan to add desalinated water to Perth’s network and the city’s first desalination plant opened in late 2006. 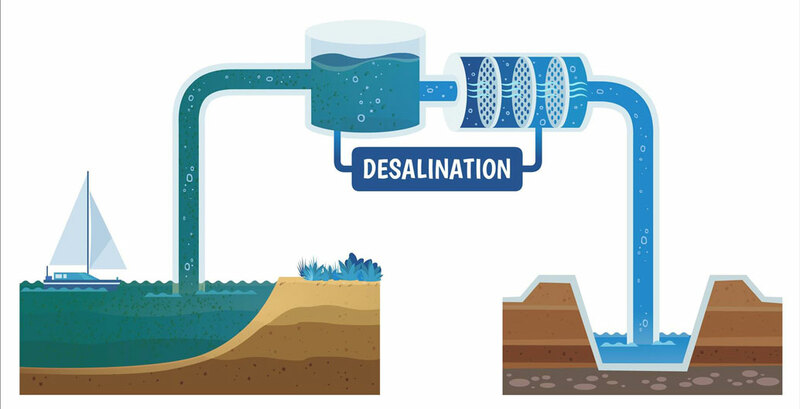 Other state governments took note, and before long, desalination plants were planned in similarly drought-affected areas, including the Gold Coast, Sydney, Melbourne and Adelaide. Loathe to impose tighter restrictions, the state government commissioned a second desalination plant, which was completed in 2011 – just after another record dry winter. Meanwhile, the groundwater reserves of the Swan Coastal Plain were deteriorating under the stress of a drying climate and the thirst of the suburbs. Some wetlands had experienced fires and greater acidity, while vegetation had collapsed at others. In an effort to remedy their decline, the government commenced a trial in 2011 to replenish the Gnangara Mound with treated wastewater. This program of aquifer recharge or groundwater replenishment was surprisingly uncontroversial – compared to ‘Poo-woomba’, for example. Following methods practiced in California’s Orange County and elsewhere, recycled wastewater is added to groundwater reserves, which compensates the amount extracted for water supplies. The government has since expanded the program of replenishing groundwater with treated wastewater, with the aim to make Perth’s water supplies “climate independent” by 2022. The government has since expanded the program of replenishing groundwater with treated wastewater, with the aim to make Perth’s water supplies “climate independent” by 2022. Despite its hot dry climate, Perth is promised ‘water forever, whatever the weather’. Although Perth may have avoided disaster, this is no time for complacency. Just last year, the Australian Bureau of Statistics found that Western Australians consumed more water than those in other states – 320kL compared to the national annual average of 205kL. This consumption appears to be relatively unchanged since the late 1990s, which raises questions about the effectiveness of the state’s water conservation campaigns over the last two decades. Perhaps this level of consumption is the unfortunate consequence of Perth’s evasion of a water crisis. After all, the addition of desalinated water and aquifer recharge to the water supply network has ensured little disruption to suburban lifestyles and livelihoods, as long as the household can afford the bills. Yet neither technology is without economic and environmental costs. Since the city’s rainfall is forecast to decline further, the people of Perth will find themselves increasingly reliant on these more recently developed water sources, unless they are prepared to address their water use. The comparatively high water consumption of Western Australians, compared to other Australians, suggests that slogans such as ‘water forever, whatever the weather’ and ‘climate independence’ are hindering efforts to curb residential water use. In a warmer and drier future, it is unlikely that these levels of consumption will remain sustainable. 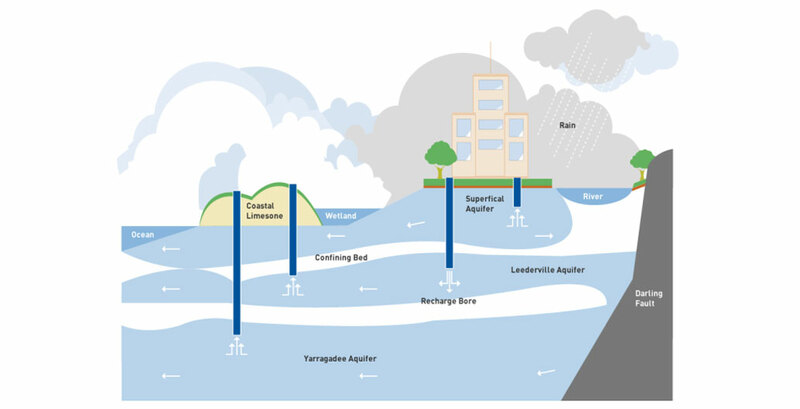 Developing new patterns of urban water use is not simply a matter of technology and economics. Making sense of this complexity encouraged the CRC for Water Sensitive Cities to undertake an interdisciplinary approach, drawing on the expertise of historians and social scientists, as well as engineers and planners. Designing the water sensitive city, as we found, must take into account diverse populations and environments, as well as different pasts – that is, the kinds of infrastructure already in place and the cultures that have developed around them. If the past and present are anything to go by, the benefits of the water sensitive cities may not be evenly shared, with factors such as affluence and geography likely to play a role. Guided by this approach, a group of historians from the University of Western Australia, Monash University, the University of Queensland, and the University of South Australia are working together on a project to explore the role of water in the making of urban Australia during the twentieth century. Every city has its own water history and we need to better understand them to know where we have been and to better inform where we are going. In the case of Perth, for instance, we will examine the persistence of high household water consumption, and why the city differs from other capitals in this regard. As this brief overview suggests, few Western Australian governments have been willing or able to change this behaviour, and have increased water supplies instead. In contrast to cities elsewhere, such as Cape Town and São Paulo, the residents of Perth have been extremely fortunate in this regard. Hopefully their luck doesn’t run out. Ruth Morgan is an environmental historian and historian of science with a particular focus on Australia, the British Empire, and the Indian Ocean. Her book Running Out? Water in Western Australia was published by UWA Publishing in 2015.